This Large Slow Twist Dee Ring Snaffle Bit is a High Quality Horse Bit and you can buy it now at a discount price. 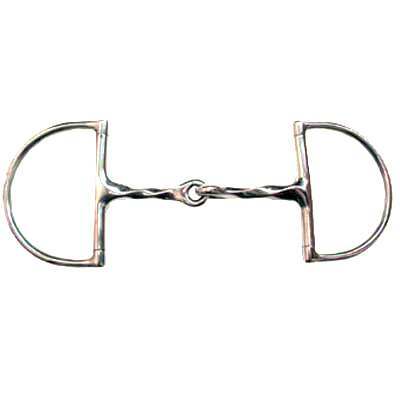 The Large Slow Twist Dee Ring Snaffle Bit measures 3.38" rings and 12mm in the mouth. We only offer the most asked for Horse Dee Bits for your Horses. This Dee Bit is made of the highest quality available and sold at discount prices. Available in Sizes: 5'' or 5 1/2''.